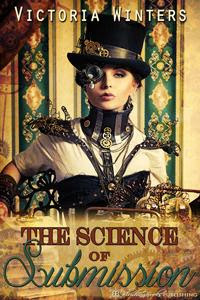 The destitute Lady Marjorie Hamilton is engaged to the talented scientist, Archibald Westerly in the hopes that one of his myriad of inventions will pay off and restore her family’s fortune. Archie has invented everything from knee-high robotics to the Time Trekker, a machine that will make time travel possible. 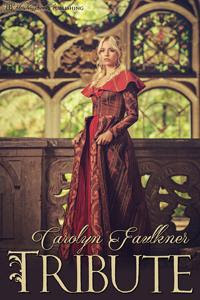 His sponsor, Lord Stefan Cavendish, is as interested in the success of Archie’s inventions as Marjorie and is most unhappy to discover that his protege has acquired a fiancee to distract him. When Stefan Cavendish’s Secret Society sends him on a dangerous mission to retrieve some crown jewels, he decides to abduct Marjorie and bring her along on his steam-powered yacht. He reasons that with Marjorie out of the way, Archibald will be free to once again focus on his inventing. Once at sea, Stefan regresses the young woman to childhood with the help of a formidable bionic nanny who is the Ultimate Spanking Machine. The one thing he does not plan on is falling in love with the beautiful young woman. Or that Marjorie’s help will be necessary to successfully carry out his mission. As Marjorie comes to love her abductor, she finds that he requires a level of trust and submission that she is not certain she will be able to achieve. But will their budding romance fall to the wayside when Archibald successfully achieves time travel? Regularly priced at $4.99, but on sale this week for a special “flashback” sale of $2.99 until thisSaturday, April 23rd. Regularly priced at $3.99, but on sale this week for a special “flashback” sale of $1.99 until thisSaturday, April 23rd. Every month, those in the six kingdoms who had come of age were brought to the L’Ondre, to the kingdom of the Empress that ruled over all of them. 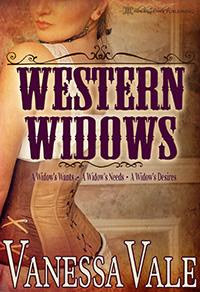 There they would be stripped of more than just their clothes – as tribute initiates, they were all the lowest of the low, bought and sold to be whores, servants, even breeding stock for families whose offspring had yet to provide an heir. Generation after generation, no one spoke of their time as a tribute. It just wasn’t done, so Princess Fleur D’Eylly Royston had no idea what fate had in store for her during the two long years she’d be known as nothing more than Fleur, to be used in any way her master saw fit. Although he had eschewed the tradition of using tributes in his land, the Sixth Lord of Arundel, Raiz Arndt, had come to the point that he had no choice but to break his own code and avail himself of a tribute. But was that or let his proud, ancient lineage die out. But with Fleur he got much, much more than he’d bargained for. PreviousHer Highland Master With: Anya Summers Giveaway Alert!